Gorillas grieve their dead and have funerals for them just like humans, according to scientists. But to the researcher’s surprise, the responses towards all the corpses were remarkably similar. In all three cases, animals sat close to the body and stared at it, as well as sniffing, poking, grooming and licking it. In the two mountain gorilla cases, those that shared close social relationships with the deceased were the ones who spent the most time in contact with the corpse. A young male, who began a close relationship with older male Titus after his mother left the group six months previously, remained close to his body for two days and even slept in the same nest with it. And Segasira, the young son of female Tuck groomed his mother’s corpse and tried suckling from it despite having already been weaned – a behaviour that could indicate he was distressed. “Comfort nursing” can stimulate the release of oxytocin, a hormone that has stress inhibiting effects, the scientists say. He was also observed lying and sitting on her corpse, staring at her face, and gently trying to move her head with his hands. Another son, Urwibutso, made hooting noises and beat his chest over the dead female’s corpse. Aggressive behaviour towards corpses may suggest gorillas are frustrated they cannot wake their dead relative, according to the team. When the group of Grauer’s gorillas came across an unrelated corpse in the DRC, they gathered around it to stare, sniff and lick it for 17 minutes from different angles. They also licked their fingers after poking it. One of the group was observed grooming the corpse for extended periods. 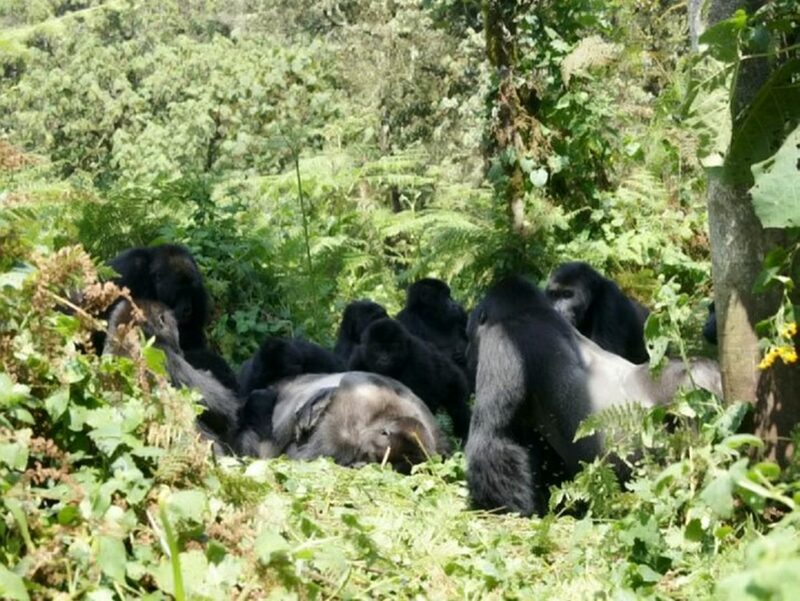 After some hours one of the DRC gorillas pushed the body down a slope and it rolled away. Researchers observed that after this, fewer gorillas gathered around the corpse. Several explanations for these behaviours have been proposed, ranging from curiosity to compassion and grief. And not only does the study provide insight into how animals perceive and process death, but researchers say it also has important conservation implications. 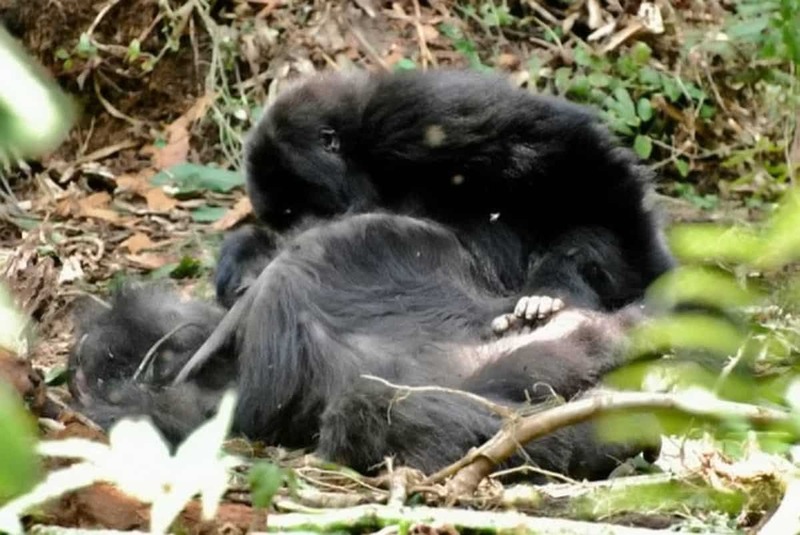 Corpses post a serious risk for disease transmission and the close inspection of them could play a critical role in disease outbreak among gorillas. Ebola has killed thousands of gorillas and African great apes are highly susceptible to the virus. Death rates among gorillas are as high as 95 per cent after coming into contact with the disease. The team from the Dian Fossey Gorilla Fund, the University of California Davis, Uppsala University and the Congolese Institute for the Conservation of Nature have published their findings in PeerJ – the Journal of Life and Environmental Sciences. Dian Fossey Fund scientist Dr Amy Porter said: “Our observations were surprising because not only did almost all individuals in the Grauer’s gorilla group engage with the corpse of the silverback, their behavioural responses were strikingly similar to those of the mountain gorillas around the corpses of established group members. “Most notably, individuals in all three cases typically sat close to the corpse and stared at it. “They also touched, licked, sniffed, and groomed the corpse. “The behaviours may partially be explained by a general curiosity with death. “Aggression toward corpses has been suggested to reflect an attempt to rouse the dead individual as the initial sensory information from the corpse may not always be sufficient for animals to register a permanent and irreversible change. “Aggression toward corpses may also be a sign of frustration at failed attempts to rouse the dead individual. “Among primates, especially great apes, there is compelling evidence from behavioural and physiological responses to death that they do grieve. “Observations may suggest that humans are not unique in their capacity to grieve. “Given the severe health risks that can accompany close inspection of corpses, it is curious why the behaviour occurs so widely among animals, especially primates.